I am really worried about the extent of indebtedness amongst the youth of South Africa. They are swimming in debt! Already as university students, most have clothing store accounts, personal loans and credit cards. Then they finish their studies and if they are professionals (like doctors or accountants) these young people are given car loans and credit cards even before they earn their first pay check. Add to the mix the absence of personal finance education in schools and universities, and a general lack of money management training from their parents, and we have a perfect storm of heavily indebted people from a young age. I feel very strongly about ensuring that young people have access to easily understandable information and advice. I have written books on the topic, I speak regularly on financial management and I host a slot each Wednesday morning at 7h45 on uKhozi FM to inform South Africans. I have launched a book donation drive, kicking off with a donation to my alma mater, the University of KwaZulu Natal. I am donating a book to each and every university library in South Africa as a starting point and I am challenging individuals and companies to donate books to libraries so that all our young people have access to information that could save them a lot of heartache and stress later on. I will acknowledge all donations on my Ukhozi FM slot and I will be happy to provide autographed copies of the book to any corporate orders of over 50 books. 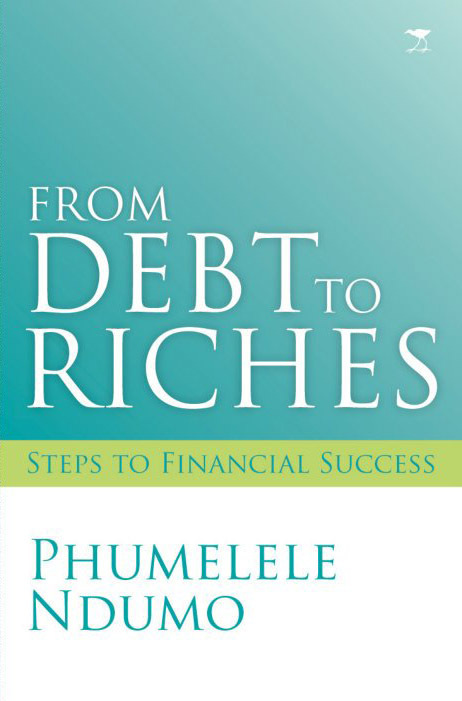 If you have read From Debt to Riches and you found that it contained useful advice, I am asking you to share this knowledge in your family, community, workplace or circle. Buy just one copy of the book for either a library or to give as a gift to a young person you know. Please tell me how you are sharing the knowledge you have gained by emailing me on info@thuthuka-sa.co.za. I would love to share your stories and hear how the advice is helping people. I have built a website to make it as simple as just one click to donate a book and help young people learn the crucial difference between good debt and bad debt. CLICK HERE TO MAKE YOUR DONATION. Note that if you want to donate the books as a company, your company can score BEE (training) points by hiring me to do talks for your employees and for a university or college of your choice.